Deal Book. 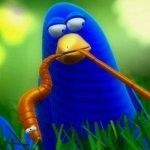 Institutional investors are lining up to buy the Twitter IPO this week and the deal should close tomorrow at which point everybody goes home and the stock is free floating in investor portfolios (Reuters, November 5, 2013, Twitter boosts IPO range amid strong investor demand). The math is compelling. The demand is such that the offering price has floated upwards to between $23 and $25 per share and the expectation is that all 70 million shares will be placed as well as an additional 10.5 million shares that are available in the overallotment granted to the underwriters and their brokers who do not pay the full price but get it at a discount in addition to their usual fees which are typically 10% to 15% of the deal (apparently $300 million or more in $2 billion). The institutional investors – who would mostly be mutual funds and ETFs – are also happy because they will be able to charge a management fee, can tweet everybody that they have it, and have successfully passed on the risk to the fund owners which is we, the hapless investors at the bottom of the food chain. We don’t have any reason to think that the stock price of Twitter will in any way resemble the stock price experience of Company “A” over there, on the right. But Company “A” also started at $25 or so, raised $2 billion, and had a similar command of well-regarded investment bankers, broker/dealers and investment analysts. And it had a good, or at least colourful and plausible idea, but failed to convert that into earnings and dividends. It’s now selling for less than a dollar and the debt is more than twice as big as the shareholders equity. It could be bought for a song, so to speak, by somebody who has some money and an idea on how the company might make some money. 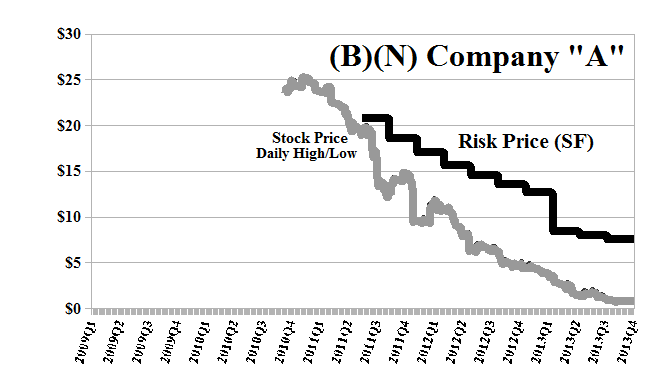 The “price of risk” for an IPO is the IPO price because that price should meet the standard of “the least stock price at which the company is likeable” (Goetze 2006) – we expect that our money will be safe – 100% capital safety – and that we might receive a hopeful but not necessarily guaranteed return above the rate of inflation. In many cases the investment banks will intervene to ensure that until their inventory, if any, has been sold off. Nevertheless, we always wait to see what the market says and we’d also like to see a few more balance sheets in real time. 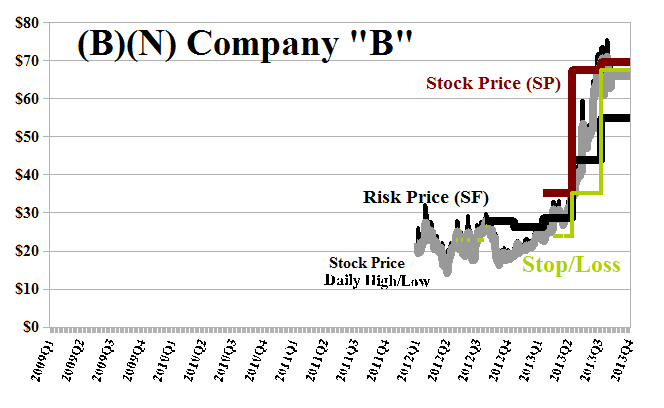 What investors really have in mind – especially if they’re queuing up to buy the stock – is more like Company “B” in Exhibit 2 below. The stock price “bobbled” a little once the IPO excitement died down, and after a while the company began to produce some earnings but did not pay a dividend because it fancied that the money was better in their hands than our pockets, and if we needed money, we could sell some of the stock. We didn’t buy in until the price of risk was confirmed by a general interest. After all, we can’t sell the stock at a higher price unless there is such a buyer and we won’t sell the stock unless we need money, want to take some profits, or are stopped out on volatility in which case we might buy it back at a lower price but still above the price of risk. By that time, there would also be an options market and we can buy puts from our profits to protect our prices for the rest. 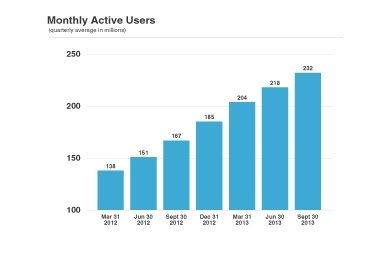 At the present time, Twitter is likely to be in the “bobble phase” but $1.4 billion (estimated net after paying off some debts) won’t last long while they’re losing $150 million per year on 220 million active users with a growth projection that looks more like an “expense” than profit at the present time. And IBM is also wondering about the status of some of its patents in this matter (Reuters, November 4, 2013, In patent showdown, IBM’s arsenal dwarfs Twitter’s). We also note that the investment bankers and broker/dealers who are sponsoring the issue aren’t taking any risks which we don’t begrudge them because neither are we. (N)@RiskWerk. For more information on the Chart elements and additional references, please see our recent Post, The RiskWerk Company Glossary.